As an event planner, one of your goals is to ensure that your attendees have a pleasant experience, from start to finish, and adding in elements of personalization can be instrumental in creating such an atmosphere. By personalizing an event to an attendee, you can accomplish a number of things including reducing the amount of time and energy an attendee spends registering, as well as reducing the amount of information you have to navigate through on the back end. Personalization also organizes an event by streamlining information for event planners, as well as for an attendee, on an efficient timeline. And as we know, a streamlined event makes the experience more enjoyable and memorable for everyone involved. While the importance of personalization is clear, planners may be asking themselves more about the “how.” Luckily, today’s technology not only emphasizes key elements of personalization, but also makes it easy for today’s planners to implement, no matter the type of events or clients they work with. One of the best resources for personalizing an event is an integrated event planning software platform with customizable registration capabilities. This resource lets you customize registration paths for each attendee so they’re not burdened with unrelated questions and information. For example, if you are hosting an event where you will have business and student attendees, you want to have questions targeted to each attendee type. For students, you don’t want to ask questions about their current careers or occupations. Instead, you want to tailor the questions to more personally relevant information, like major or projected year of graduation. Additionally, with the ability to define attendee types, the benefits extend beyond tailoring questions to each attendee type, you can also offer sessions, options, activities, travel, hotels, hotel room types, etc. to attendees based on whether they’re speakers, VIPs, guests, or however else your attendees are classified. This more specific type of information gathering and sharing allows an event planner to cater the event to attendees more personally. Moreover, personalized tracks and effective registration methods provide event or meeting planners with details and demographics that help you gain a better understanding of your audience. Post-event, this data is more meaningful. It will tell you, as the event planner, who is attending, the demographics of attendees, answers to important questions relevant to the event planning as well as to growing your business. The event can be planned more precisely and efficiently with readily available data needed for important headcounts and other information to ensure the attendees have the best experience. If you incorporate attendee engagement solutions at the event, say, smart badge technology or a mobile app activity such as session tracking networking, sharing information, etc. the attendees gain a more fulfilling experience as well as the event planner is able to see post-event data detailing what sessions attendees attended, how they engaged with other attendees, what they liked most, and where attendees spent the most time. This data can be used to create more compelling events tailored to the interests of your attendees. An important tip to consider when building your registration and websites. Keep in mind who your attendee demographics will be. While the majority of people consume information via mobile device, it’s important to understand that some older audiences may be more comfortable on a PC. If you find that your audience prefers to consume information on a mobile device, then you can optimize your content for a mobile app, setting it up in a way that keeps the information light and easy to navigate, rather than heavy, busy and confusing to consume. By analyzing well-organized data prior to the event, you can structure your events to meet the needs of your attendees, capturing their attention, as well as keeping them engaged so they complete their registration for the event. That is the goal of the registration and website – to attract people and secure registrations for the event. Using the data collected through the registration platform, event planners can send out push notifications through a mobile app during the event based on what the event planner wants to emphasize to the attendees. Push notifications can be sent to all attendees or specific attendee types to remind them of sessions starting; or perhaps promoting evening their activities; or building excitement to a big announcement coming at a session. The options to promote and engage are limitless due to how the data was captured at registration. With that same organized registration data, planners can set reminder emails, or survey emails both pre- and post-event. These emails are also personalized with the information an individual includes in the registration process. For example, if an attendee marks in their registration survey that they were interested in one specific session, the post-event survey can ask whether or not it met their expectations. This serves the event planner with more precise feedback and the attendee with a greater sense that they are being listened to, and that their feedback really matters to the company hosting the event. Event management software can also assist in an event’s branding goals. From the website to the registration site to the mobile app, each one can be customized to the event planner’s specifications to create a uniform look and feel, creating the desired visual experience designed for the event and intended audience. This gives the user a sense that everything has been customized and personalized for them and it will keep them engaged! With a wide range of customers who have varying needs, companies need to be versatile and adaptable, as well as professional, to serve the varying event needs. From an efficiency standpoint, it makes the most sense to have a strong repertoire of basic registration and website templates to use as the starting point for your event sites. The templates serve as a good starting point to then quickly build the event registration and websites. Personalizing a template is much more efficient than starting from scratch every time. Employee-driven events are just as important as external events. Whether hosting training or kickoff meetings, we have many customers who exclusively plan internal events. 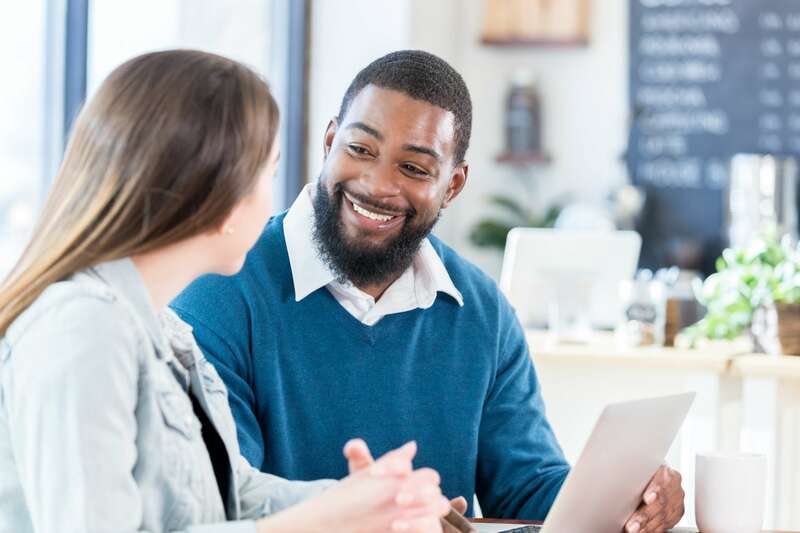 Because your employees are your largest asset, you want them to have a good experience, to deliver the information they need, and to show them that you care. By using event management software to deliver a really organized and streamlined registration process, as well as a professional and/or creative look and feel, meeting planners prove to their employees that they are valued. Employees are left with a better perception of the company they’re working for, feeling more connected to a company that believes and invests in these technologies, and it fosters a greater sense of commitment and loyalty. Essentially, using event technology for internal events is an investment in your employees, and when employees see that you are invested in them, it speaks volumes. Whether it’s a website, registration site, or onsite engagement like a mobile app to distribute information and enhance that experience, event technology makes participation more enjoyable and they’re going to get far more out of it. Cheryl is the Senior Director of of Global Professional Services Operations at Aventri.